Anyone looking to climb the corporate ladder needs to understand just how important fashion is in their endeavors. As little children, we were taught ‘never judge a book by its cover,’ but unfortunately, that’s just how the world of business operates. If you are looking to power your way to the very top of your profession, you sure better look the part. Here are some tips on fashions that can send you on your way. With all the buzz about digital this and digital that, there is something quite dignified in the timelessness of a mechanical watch. For some undeniable reason, an analog mechanical watch brings with it the perception of a person who has control of their own life. A digital watch just keeps going and going until the battery runs out, but an analog mechanical watch from days gone by offers the image of a person who is in charge of their own life and doesn’t need any outside motivation or power to keep going. 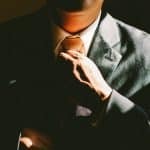 That’s a person who is ready to rise within a company and why every power-player’s wardrobe should contain a mechanical watch to show the world who they are – self-propelled leaders. Many people believe that there is no distinguishable difference between real leather and faux leather but to those in the know, there is definitely a difference. Whether new or well broken in, leather has a look and feel that sets it apart from even the highest quality imitation leather on the market. Leather is leather, and once you have owned leather shoes, leather brief cases, leather cell phone cases, leather watch bands, you learn to discern the difference. One of the most influential power pieces you can carry would be a real leather laptop bag. Yes, they are higher priced than nylon or other synthetic materials but so much more effective when making that all-important power play. No matter how much a piece of jewelry costs, those overly large statement pieces tend to make the wrong kind of statement. In the corporate world, they are often viewed as being pretentious. After all, if you really have money and high standing in the community, there is no need to flaunt it. When looking to grow with your company or on your own as a freelancer, the more secure you can make yourself appear, the more others will believe in you. Some of the most powerful and influential men in our country still live in homes they bought 60+ years ago (Warren Buffet) or go about in worn, torn jeans (Bill Gates) because they have no one to impress! So then, the one underlying theme seems to be that if you want to power your way up the corporate ladder, don’t make it appear as though that is your intent. When it comes to high-power fashions, less ostentatious is better. That calm air of being secure in who and what you are goes so much further than putting on airs of superiority. High-quality analog mechanical watches indicate a person in control of his or her own life and those who wear quality come across as being quality. Natural over synthetic and small high-quality jewelry over flashy statement pieces are a winning combination each and every time.